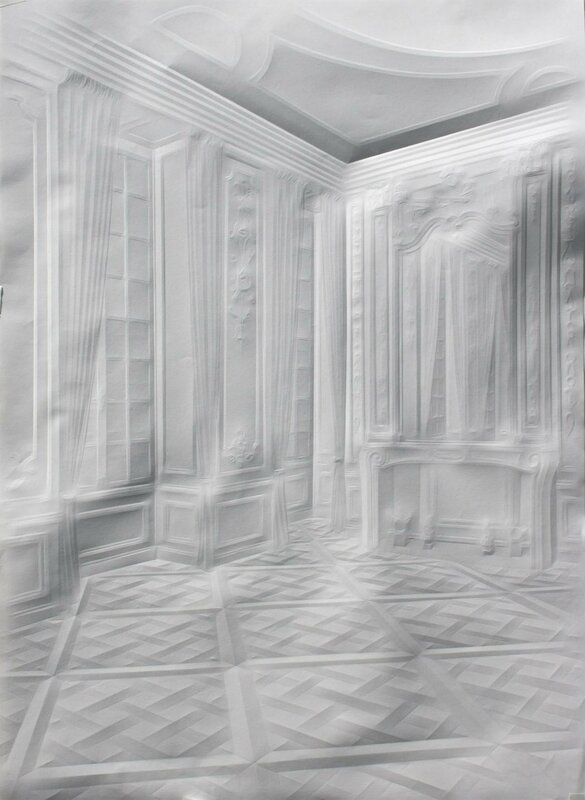 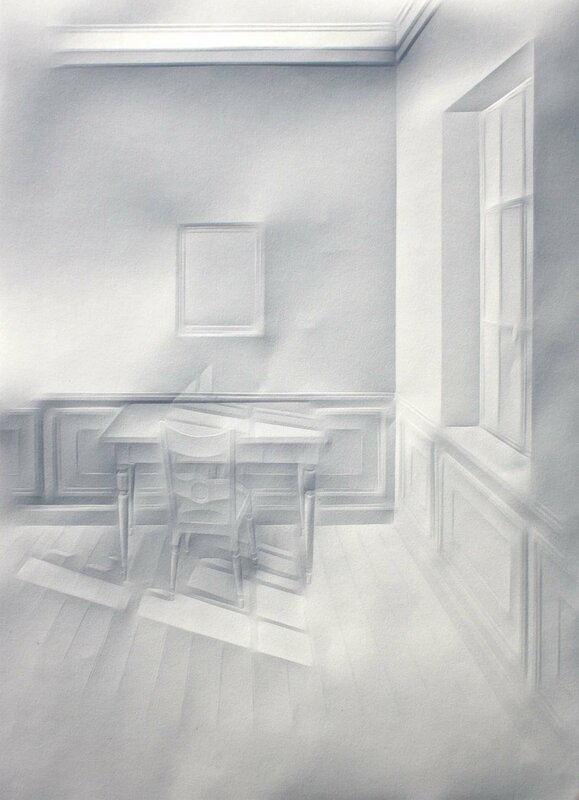 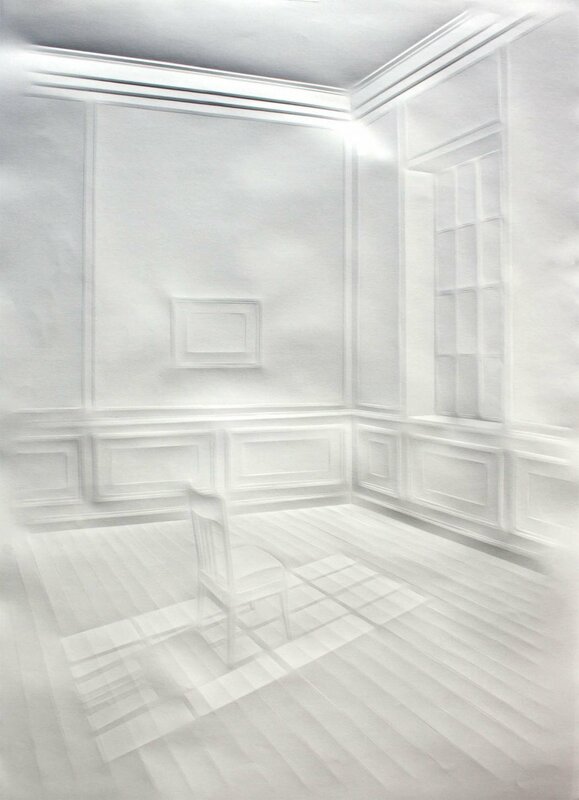 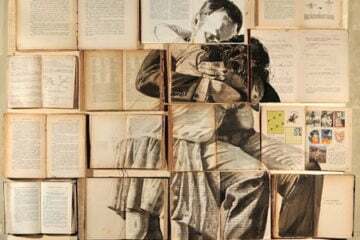 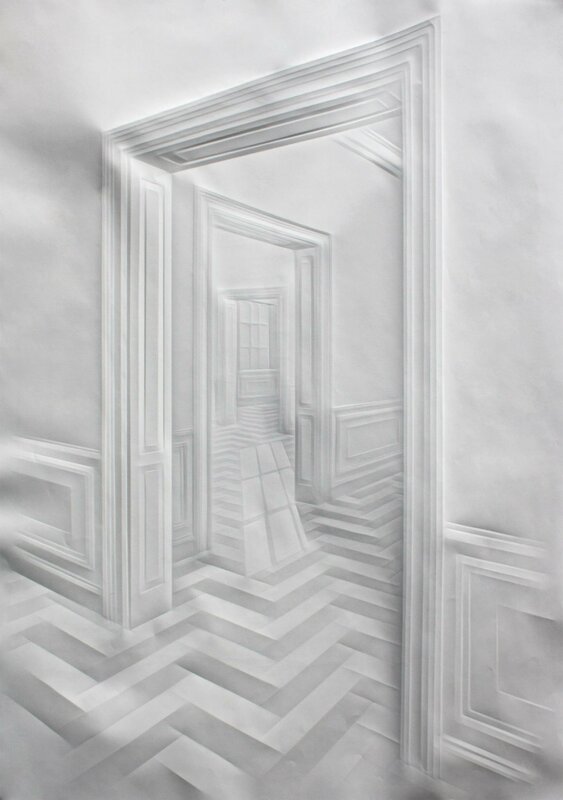 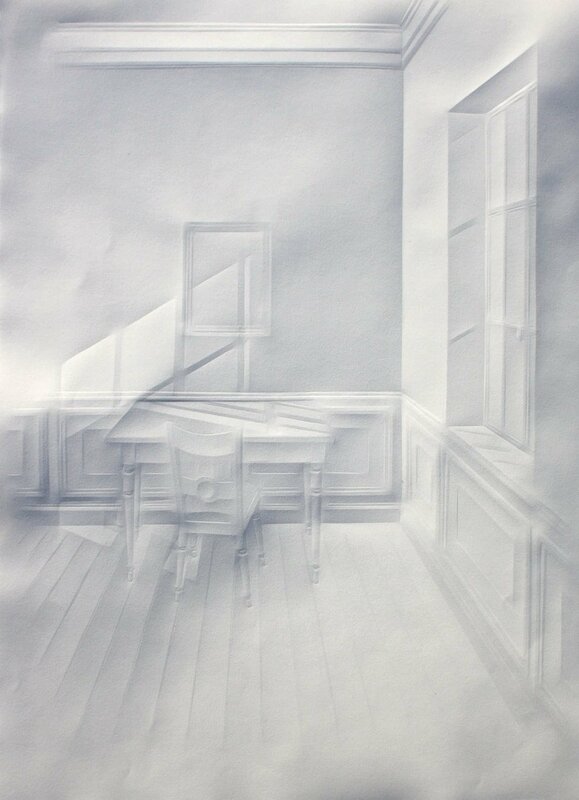 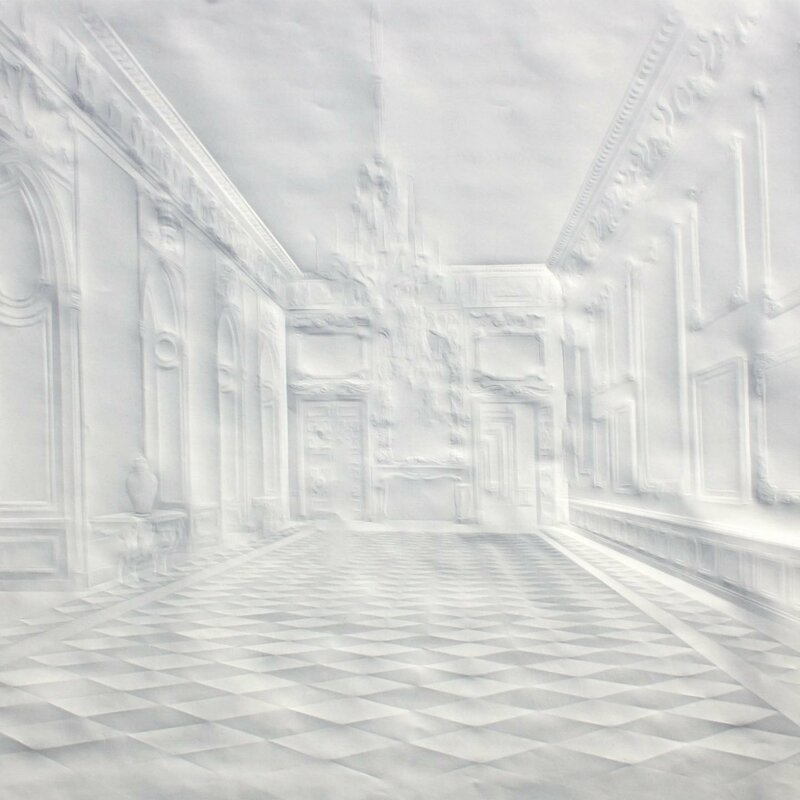 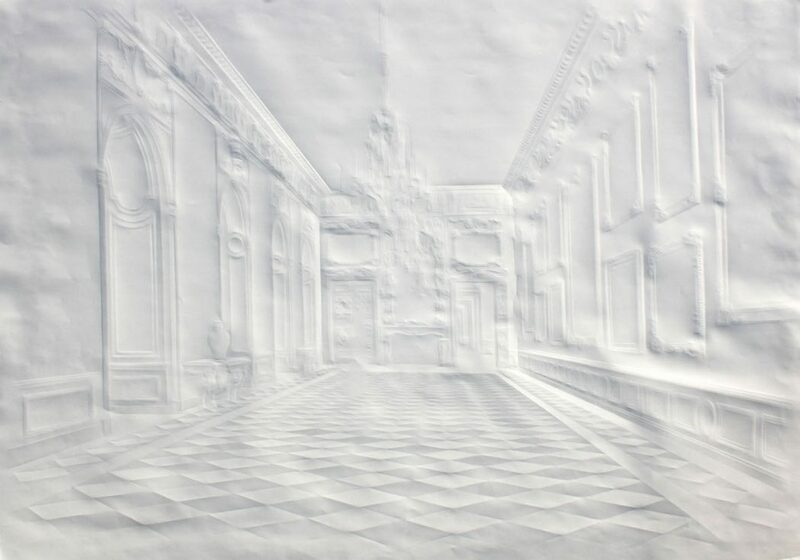 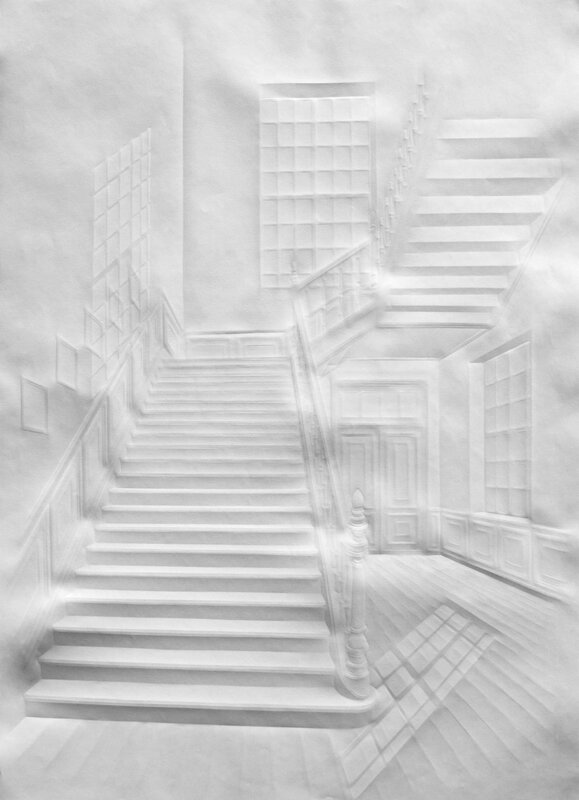 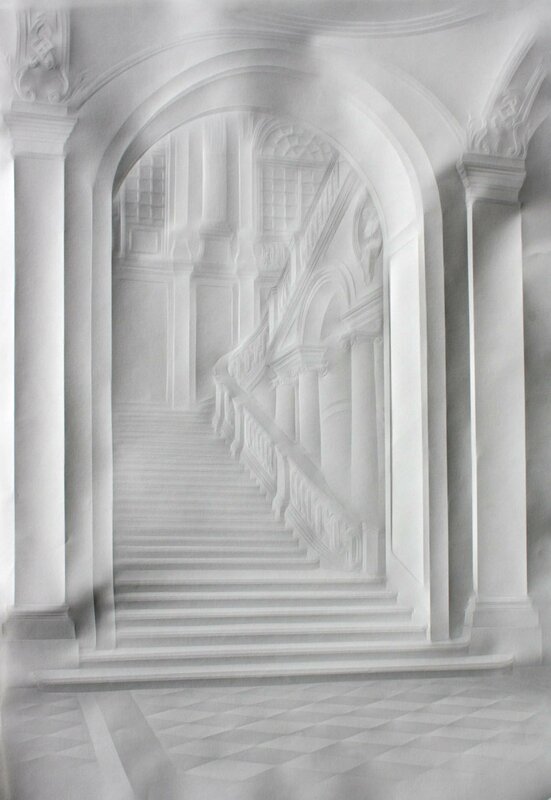 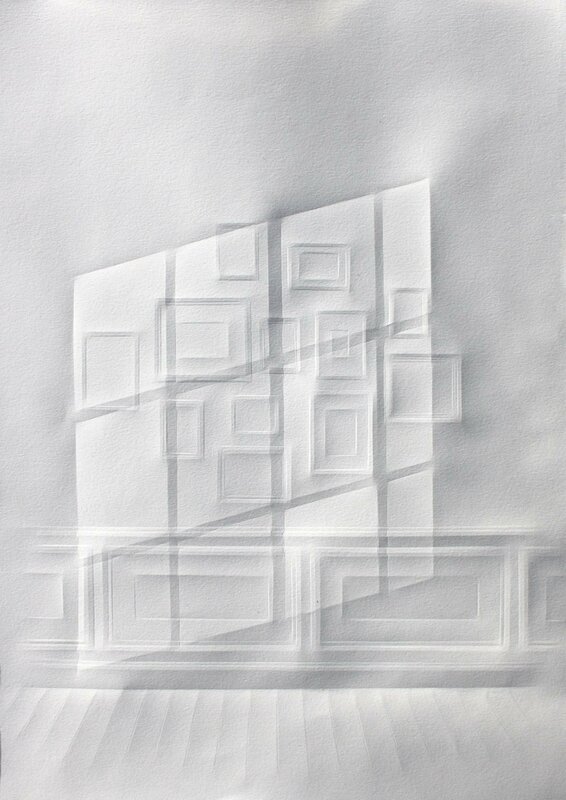 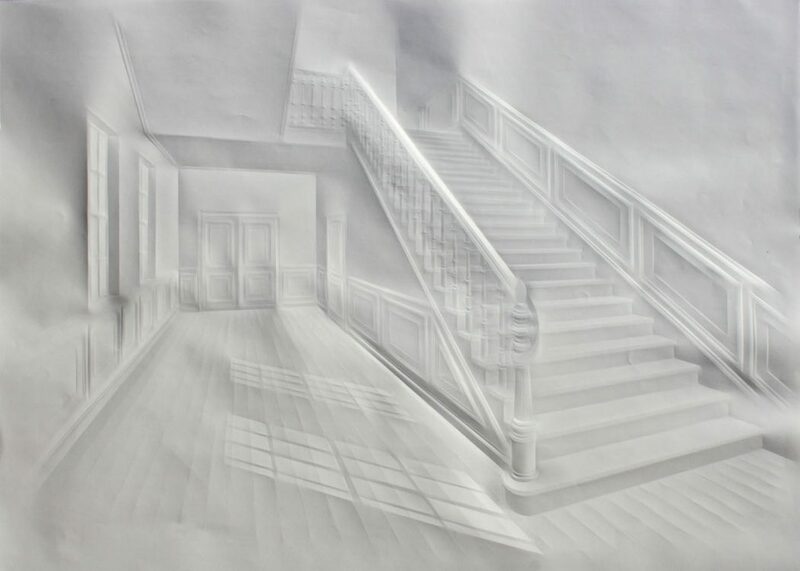 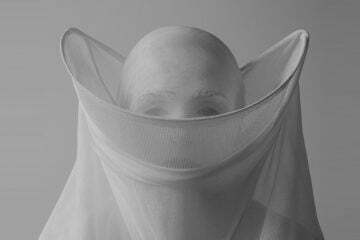 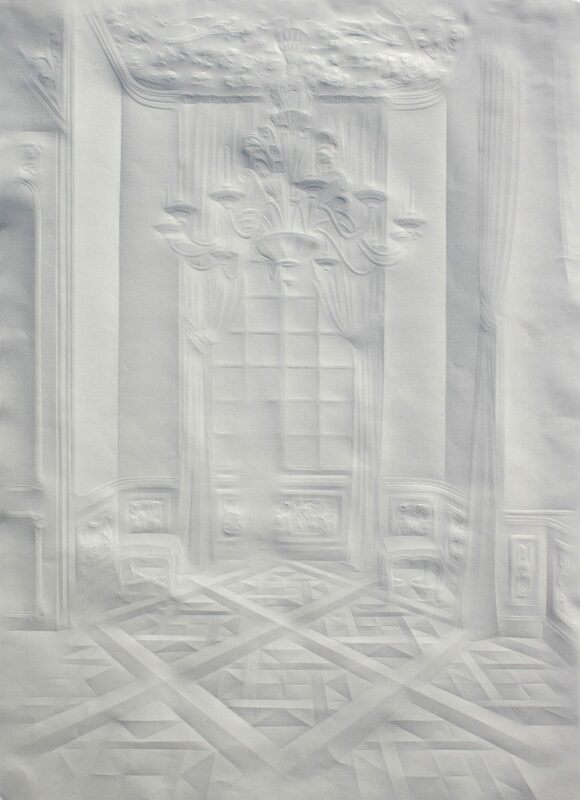 German artist Simon Schubert creates intricate paper works of interior portraits by carefully folding plain white paper. 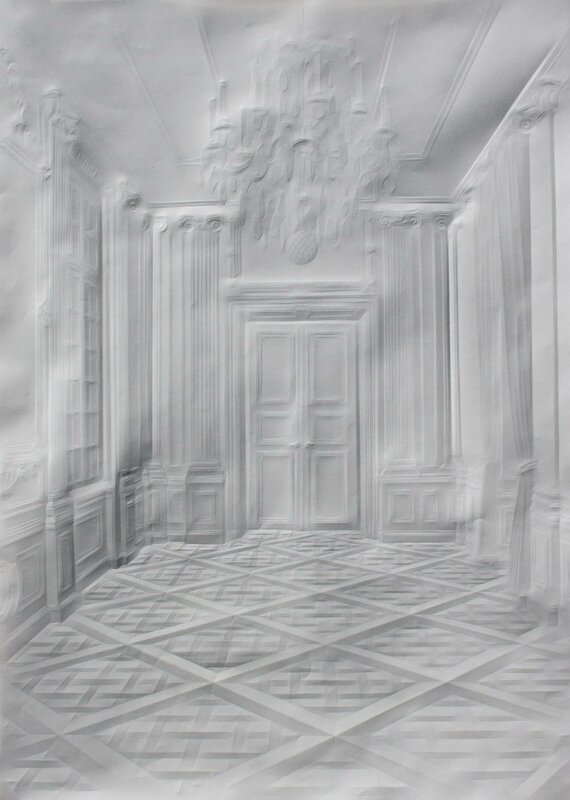 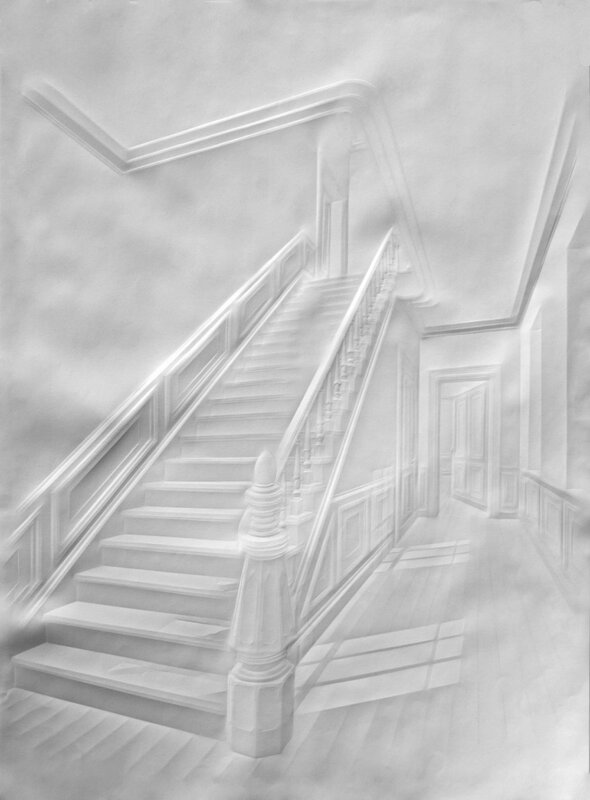 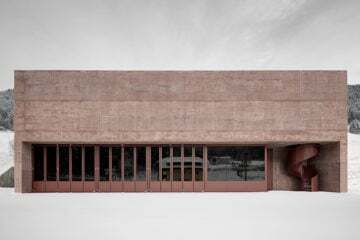 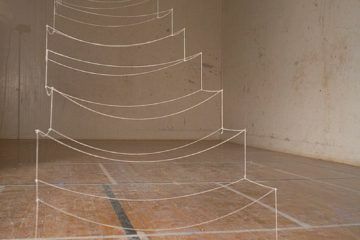 “The works often show interiors from the end oft he 19th century reminding the spectator of ‘haunted mansions’.” The folded lines of the pieces reveal delicate interiors of real buildings, such as the Berlin Stadtschloss and Marienbad. 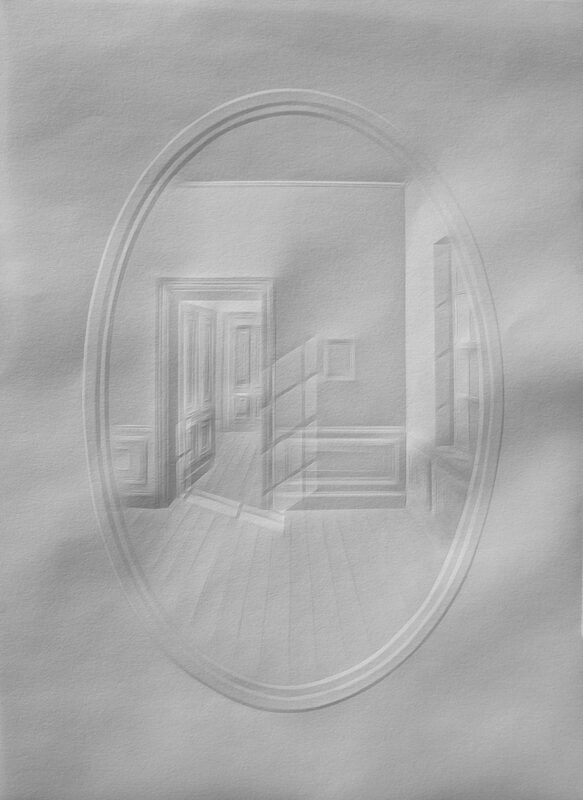 Schubert says that the series was inspired by the light-filled portraits of Danish painter Vilhelm Hammershoi. 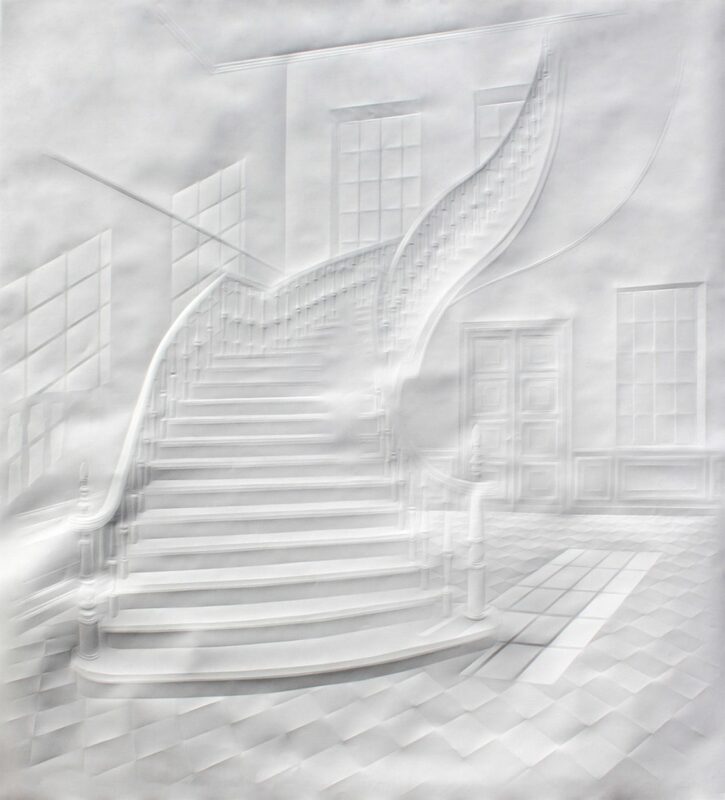 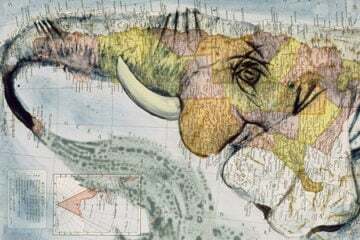 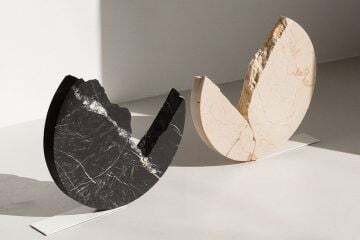 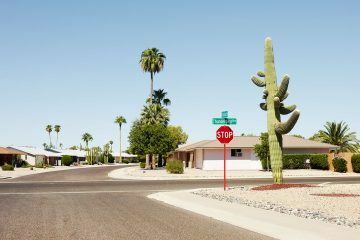 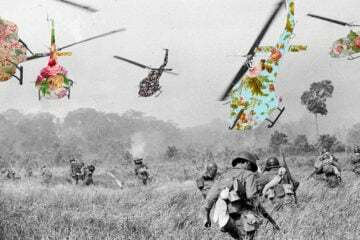 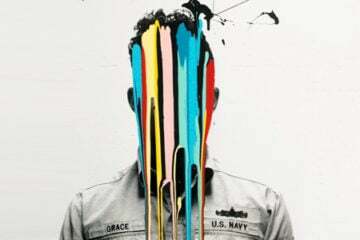 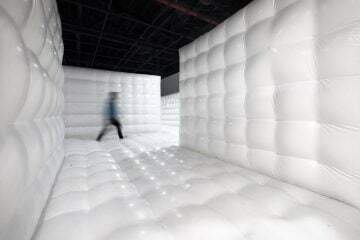 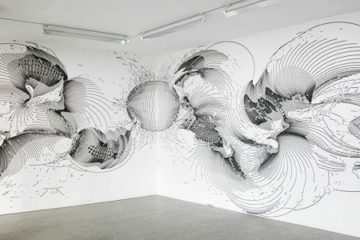 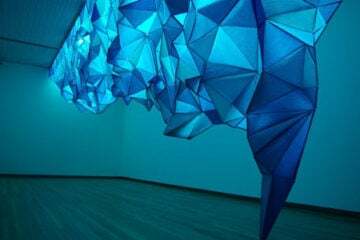 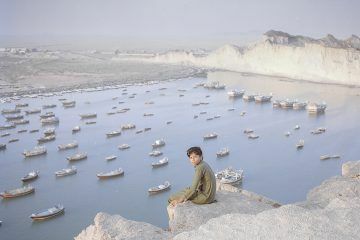 Besides his paper works, Schubert also creates sculptures and installations.